Dr. William G. Caldwell received his B.A. from the University of Washington, Seattle, and earned his dental degree at Washington University in St. Louis. 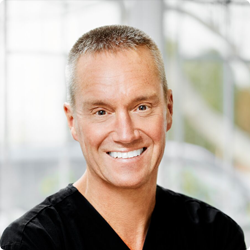 His specialties include restorative dentistry, cosmetic dentistry, periodontics, prosthodontics, oral surgery, and smile enhancements. Dr. Caldwell is an active member of many associations and has served in distinguished leadership positions. These include terms as Vice President of Massachusetts General Dentistry as well as Chairman of the Middlesex District Dental Society. Other professional affiliations include the American Dental Association, Massachusetts Dental Society, Academy of General Dentistry, National Society of Dental Practitioners, and the Lowell Dental Society Study Club. In his leisure time, Dr. Caldwell is an accomplished runner having successfully completed numerous marathons and half-marathons. He also enjoys surfing and other outdoor sports. To schedule a dental appointment with Dr. Caldwell, please call our Nashua dentist office today.